Please use this thread to report Transformers sightings in Singapore. Most large retail outlets (Toys 'R us and such) have been stocked--since 2 weeks ago--with movie Bonecrusher, Swindle, Arcee, Robot Heroes Decepticon Sneak attack-pack and several scout-class toys that I've never seen around before (like Clocker). 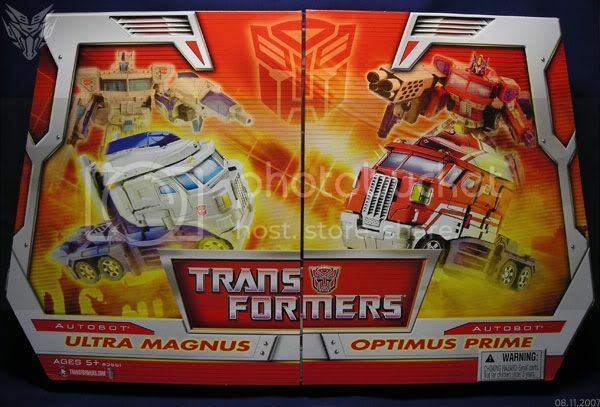 Voyager-class Optimus Prime, Megatron, and Brawl are back in stock too. Robot replicas are aplenty, as always. I recall seeing movie Megatron and Rachet, painted in metallic colours in Carrefour a week ago as well. Not too sure about this one. The metallic Voyager Megatron and Ratchet are apparently Carrefour exclusives in S'pore. BB08 are restocking at TRU but selling out quite fast. hi guys! this is my 1st post. just to let u y'all s'pore transfans know that i called the s'pore hasbro office & they inform that the masterpiece starscream figure (in G1 colors) will be available at around mid to end of november & priced @S$100. Thanks for the tip! I'll be on the lookout, though I'm hoping to see a Takara release if any of G1 Starscream. single disc edition, 2-disc edition and 2 disc edition with the transforming Optimus Prime dvd case. Got mine from Gramophone. I guess HMV and Sembawang prolly have them in, too. Optimus Prime with Matrix and Unicron. I just want to update u guys. the masterpiece starscream is out in s'pore dis wk! i jus got mine today at TRU. the price is S$149.90. it's a TRU-s'pore exclusive only item so it won't be available anywhere else (dat's wat hasbro s'pore said). Takashimaya has the newer Real Gear Robots too! Thanks rizuan76, I'll definitely be on the lookout, though I'm wondering why in the world it's S$149.90 when it was released in the US for about half that price. I checked with one of the smaller stores (ahem, hobby stores) if the Takara version would have battle damage. Nope. Though it would probably come up to S$150 either way. Btw the TRU outlet dat i went was the tampines one. yup u are correct Sycia the takara tomy version is da clean one(w/out battle damage). It's still not to late b'coz they are still taking in orders. i've only started to patronise dis shop recently. if anybody missed out on da TF classics series. they are already taking in pre-orders for the takara tomy version. due out in mar 2008. Bah. Forgot to post this here earlier. Sorry folks. Anyone found Hasbro's MP Starscream here yet? Yeah, I'll be getting my MP G1 Takara Screamer from Rapid Culture @ Cine. Saw the Legends Class 6-pack at TRU. The one with Jazz, Bee, Prime, Barricade, Megs and Starscream. Retailing at $59.90. They also still have some pieces left of the Unleashed Optimus Prime Turnaround. Ok this is the news some of u been waiting for. Just in time for the x'mas season (with bated breath). the hasbro mp-starscream is finally out @ TRU forum the shopping mall. I was passing by today(friday 16 nov) around 11am & i saw it with my own eyes. guess what? lo & behold...i spotted abt 20 to 25 boxes of mp-screamer! all stacked up & arranged neatly. So what are you guys waiting for? spread da word & go get 'em! Hi Rizuan. Thanks for all the information! Also spotted Hasbro's G1 MP Starscream at the TRU in Suntec going for SG$149. Cyber Stompin' Optimus Prime & Bumblebee have were out as well (haven't seen them at TRU before). 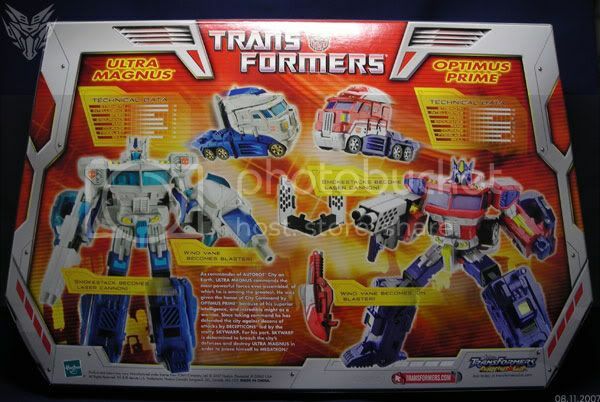 Metro has Masterpiece G1 Starscream, and some more of the Ultra Magnus + Optimus Prime 2-pack. OG Orchard has the Gift Set with the Voyager Starscream, Voyager Battle-Damage Prime and Deluxe Battle Damage Arcee. They've also restocked some of the older Deluxes like Jazz, Brawl and Scorponok. TRU had some sets of the Desert Attack Blackout and Scorponok 2-pack.